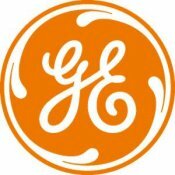 As a division of General Electric Company (NYSE: GE), GE Transportation is a global technology leader and supplier to the railroad, mining, marine, stationary power, drilling and energy storage industries. At GE Transportation, connectivity is the cornerstone of our innovative technology that helps our customers solve their toughest challenges. We deliver breakthrough efficiencies through our brilliant, connected machines; use advanced manufacturing techniques that bring our innovative concepts to life more efficiently and cost-effectively, and deliver on our promise of speed to move them faster to market. In 2013, GE Transportation delivered $5.9 billion in revenue supplying our customers with best-in-class products across a wide range of industries. GE Transportation was established over a century ago, serving as a pioneer in passenger and freight Diesel-Electric and Electric locomotives. Today, GE Transportation is at the forefront of the Industrial Internet with innovative technology, efficient production and fast delivery to keep our connected world in motion.